Millennials think they're so smart! Maybe they are. It seems true when it comes to knowing how to research and shop for cars on their phones. Auto shopping and research site Edmunds.com, in a new study, finds that the tech-savvy generation is better educated, and more self-sufficient as buyers than their parents, thanks to their comfort with mobile devices. According to the study, 73% of Millennials (those between ages 18 and 34) said that they believe they are savvier car buyers than their parents. More than half of Millennial respondents also said they actively advise friends and family on the car-buying process, compared to 37% of older Americans. One major reason for this is Millennials’ proficiency in using mobile devices to research before buying, per the firm. 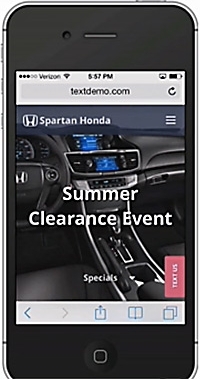 Forty-one percent of the study's Millennial respondents, versus 20% of other adults, said they turn to mobile for activities like reading vehicle reviews; 34% said they use it to locate vehicles for sale (versus 20% of others); and 33% said they research vehicle pricing on mobile devices versus 21% of other adults. And 80% of those Millennials that Edmunds polled said they used their mobile devices to help them with at least one car shopping task, compared to just 46% of people age 35 and over. Steinlauf also points out that texting is a major communications channel for Millennial car shoppers, and that's also how they like to interact with dealers. About one out of every three Millennials said they used their phones to find contact info for a local dealership, compared to one out of four adults age 35 and over. “People in general, but Millennials in particular, are into texting,” he says. The study found that 70% of Millennials were interested in interacting via SMS versus 43% of all adults. Also, Edmunds found that about 72% of Millennials in the study said that they have considered buying a hybrid or electric vehicle, and 66% said they would consider buying a self-driving vehicle when that technology arrives. And 62% said that they would pay more money for a WiFi-connected vehicle. But Millennials are old school in at least one way: they rank bells and whistles like infotainment and Bluetooth well behind price, fuel economy and performance. The study aggregates two recent surveys commissioned by the Edmunds. The first, conducted in January, polled 1,500 U.S. adults 18 and over who purchased a vehicle within the last three months. The second was conducted in March and included 1,000 respondents between the ages of 18 and 34.